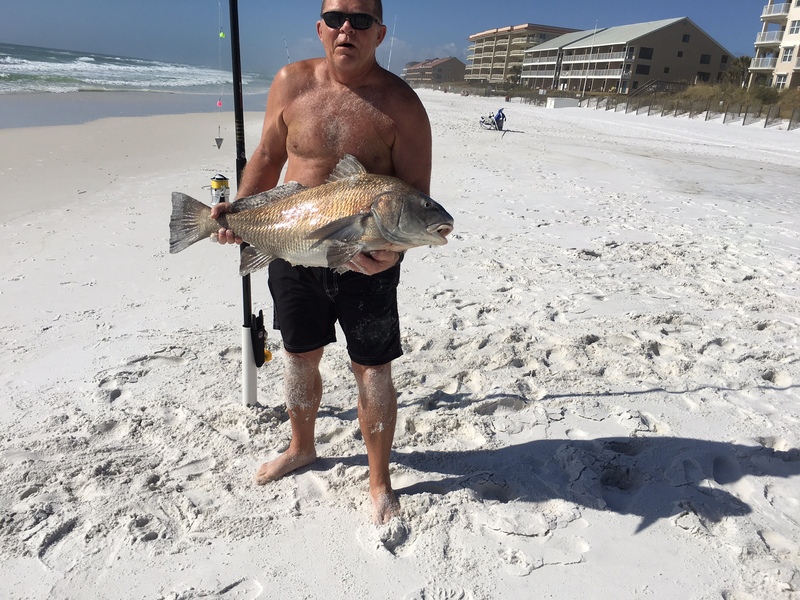 Surf fishing has been great in Destin this winter and spring. This Redfish gets to go back…too big! 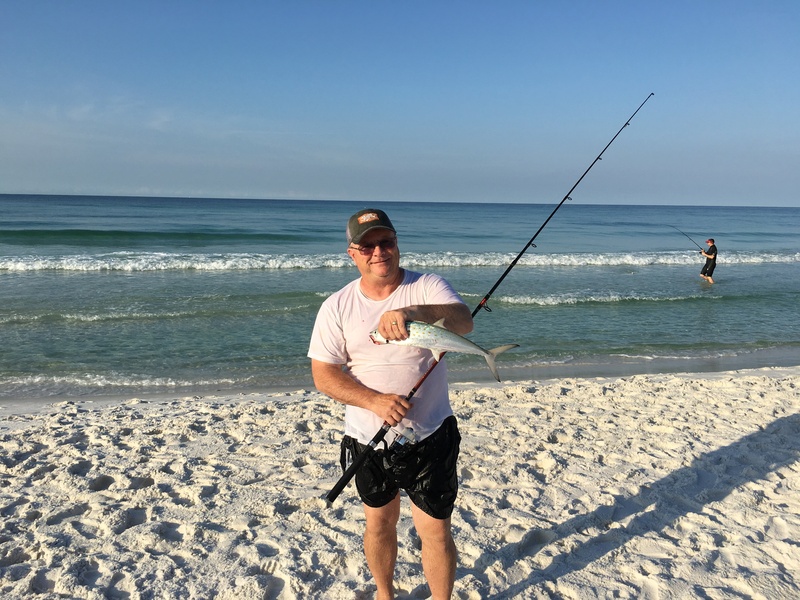 Anglers are catching Spanish Mackerel in the surf from the beaches of Destin Florida. 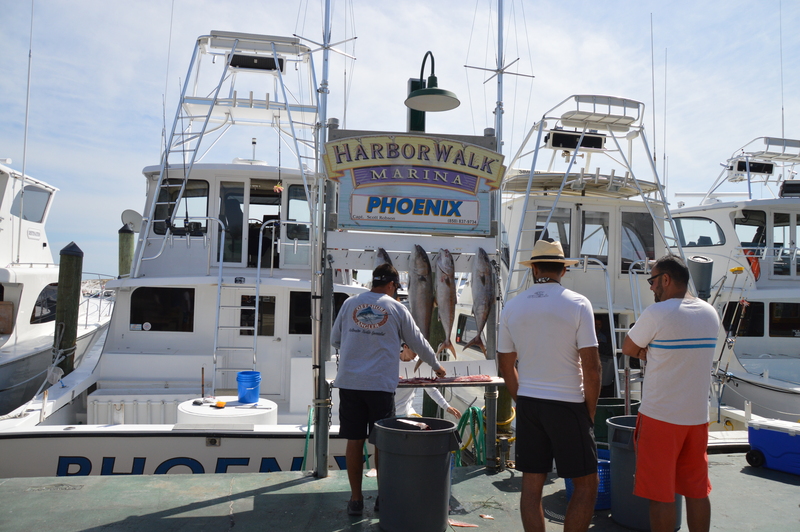 Saturday early calm seas and winds gave way to stiff southerly breezes as Charter boats Special K and Phoenix bring a nice catch of Amberjack, Mingo Snapper and Trigger Fish to the dock. Please tip your mate! 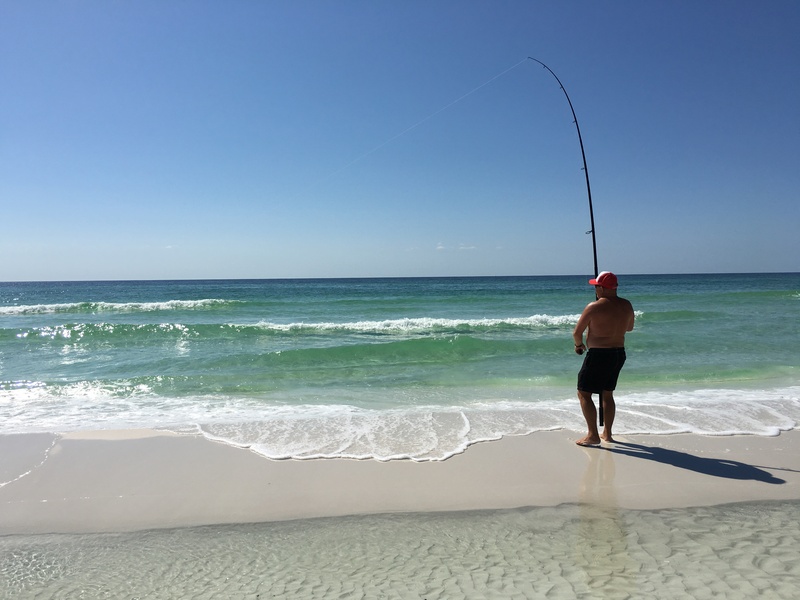 Bob is bowed up on a ray which hit his artificial bait Fishbites in the surf of Crystal Beach in Destin. 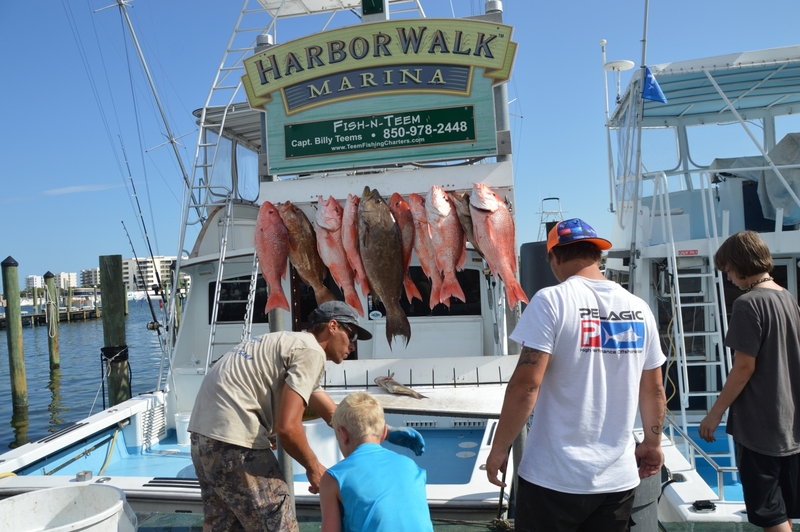 The Destin Fishing Rodeo is over but the memories are fresh. 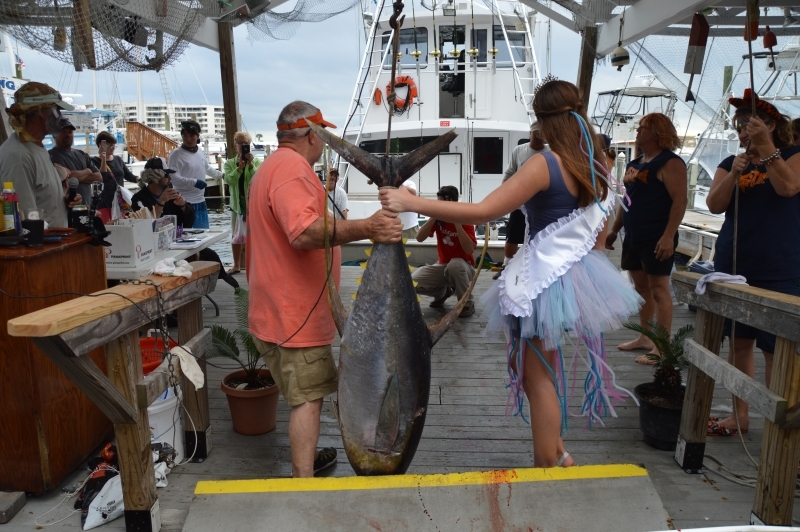 This 127.4 LB tune was caught aboard Bow’d Up on the last day of the tournament. 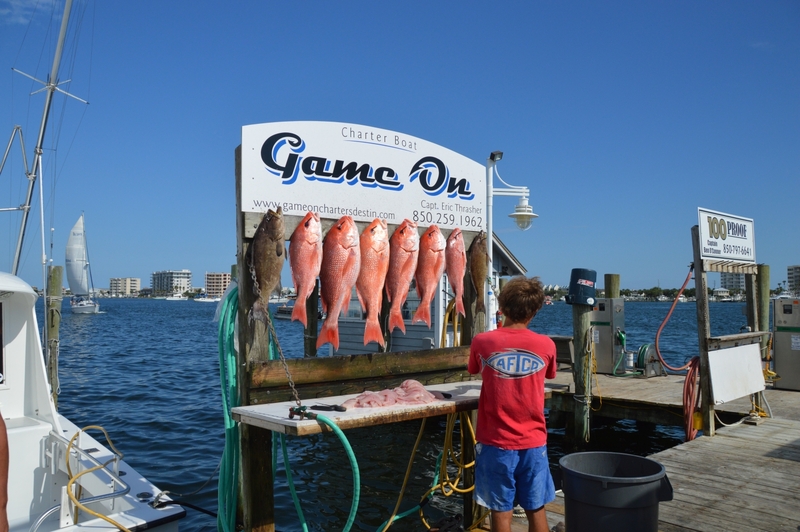 Another nice catch of Snapper and Scamp for the Game On. 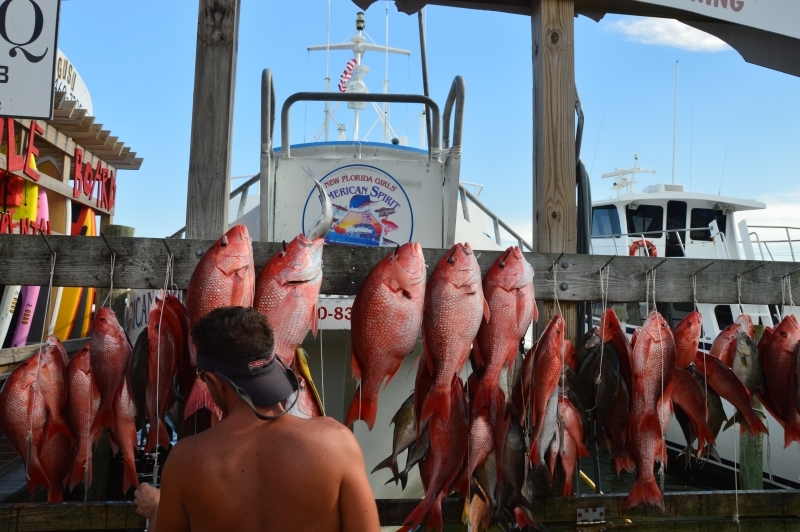 The American Spirit has a nice catch of federal Snapper on Wednesday June 3rd. A nice Scamp weighing just under 20 pounds caught Wednesday June 3rd on the Fish-in-Teem.